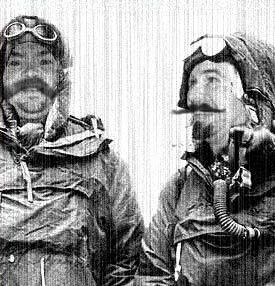 Great-grandson of the famous explorer Pierre Le Guy the 1st. Pierre LeGuy the 4th is never seen at street level. He is always in a roof-top garden or penthouse and travels within cities via gondola along the subterranean water ways that exist secretly in every city. Pierre LeGuy is the author of several books on the etiquette of fine gloves. 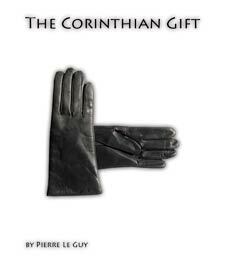 His third book in the series, "The Corinthian Gift" deals with the 'language of challenge' and the confrontational nature of fine leather gloves. Pierre LeGuy has retired twice from secret service and now works mainly as a freelance consultant to governments and consulates throughout the earth. His photographic memory, his dexterous maneuvering through society, his ability to influence nobility, and his vast IQ, along with his god-like physique and super-humanly perfect hair have made Pierre Leguy: THE MOST VALUABLE MAN ON EARTH. Pierre LeGuy the 4th does not mind at all using his vast resources, corporations, and design skills to build playground equipment for orphanages and battered spouse shelters all over this amazing earthscape. Pierre often parachutes in to the build site to oversee construction personally as well as providing his latest fashion creations to the staff in order to bring light and smiles to the inmates. Pierre feels a strong connection with orphans, beaten women, and the glory therein. Pierre gives so much from his heart and soul that gorillas cry from so very far away. Unless he is working in Africa, then the gorillas are much closer. In matters of war, love, and travel adventure, Pierre prefers his STEN MKII submachine gun handed down to him by his uncle, a famous French Resistónse fighter during and after WWII. Pierre Le Guy is a member in good standing at The Freedom Conservancy. In matters of science he turns to his trusted advisor The Sherpa of Science. In matters of commericial property for sale in Northwest Arkansas, Pierre Le Guy turns to Jeff Pederson. Pierre especially loves to hunt pheasants with his Randhurst Fowler. Pierre LeGuy: Expert in war and love.